1Excludes L model. Not available with special financing, lease and some other offers. See participating dealer for details. 2Not available with special finance or lease offers. Take delivery by 04-30-2019. 3Excludes L model. Not available with special financing, lease and some other offers. See participating dealer for details. 4Must qualify through GM Financial. Not available with special finance, lease, or some other offers. Take delivery by 04-30-2019. See dealer for details. 5Excludes L models. Monthly payment is $13.89 for every $1,000 you finance. Example down payment: 5.2%. Must finance with GM Financial. Some customers may not qualify. Not available with lease and some other offers. Take new retail delivery by 4/30/2019. See dealer for details. 1Excludes L model. Not available with special financing, lease and some other offers. See participating dealer for details. 2Not available with special financing, lease and some other offers. See participating dealer for details. 3Excludes L model. Not available with special financing, lease and some other offers. See participating dealer for details. 4Must qualify through GM Financial. Not available with special finance, lease, or some other offers. Take delivery by 04-30-2019. See dealer for details. 5Excludes L models. Monthly payment is $13.89 for every $1,000 you finance. Example down payment: 5.2%. Must finance with GM Financial. Some customers may not qualify. Not available with lease and some other offers. Take new retail delivery by 4/30/2019. See dealer for details. 1Not available with special finance or lease offers. Take delivery by 04-30-2019. 2Must qualify through GM Financial. Not available with special finance, lease, or some other offers. Take delivery by 04-30-2019. See dealer for details. 3Not all customers qualify for all incentives. Offers cannot be combined. 4Excludes L models. Monthly payment is $13.89 for every $1,000 you finance. Example down payment: 5.2%. Must finance with GM Financial. Some customers may not qualify. Not available with lease and some other offers. Take new retail delivery by 4/30/2019. See dealer for details. 1Excludes L model. Not available with special financing, lease and some other offers. See participating dealer for details. 2Not available with special finance or lease offers. Take delivery by 04-30-2019. 3Excludes L model. Not available with special financing, lease and some other offers. See participating dealer for details. 4Must qualify through GM Financial. Not available with special finance, lease, or some other offers. Take delivery by 04-30-2019. See dealer for details. 5Not all customers qualify for all incentives. Offers cannot be combined. 6Excludes L models. Monthly payment is $13.89 for every $1,000 you finance. Example down payment: 5.2%. Must finance with GM Financial. Some customers may not qualify. Not available with lease and some other offers. Take new retail delivery by 4/30/2019. See dealer for details. 1Excludes L model. Not available with special financing, lease and some other offers. See participating dealer for details. 2Excludes L model. Not available with special financing, lease and some other offers. See participating dealer for details. 3Must qualify through GM Financial. Not available with special finance, lease, or some other offers. Take delivery by 04-30-2019. See dealer for details. 4Not all customers qualify for all incentives. Offers cannot be combined. 5Excludes L models. Monthly payment is $13.89 for every $1,000 you finance. Example down payment: 5.2%. Must finance with GM Financial. Some customers may not qualify. Not available with lease and some other offers. Take new retail delivery by 4/30/2019. See dealer for details. 1Must qualify through GM Financial. Not available with special finance, lease, or some other offers. Take delivery by 04-30-2019. See dealer for details. 2Not all customers qualify for all incentives. Offers cannot be combined. 3Excludes L models. Monthly payment is $13.89 for every $1,000 you finance. Example down payment: 5.2%. Must finance with GM Financial. Some customers may not qualify. Not available with lease and some other offers. Take new retail delivery by 4/30/2019. See dealer for details. 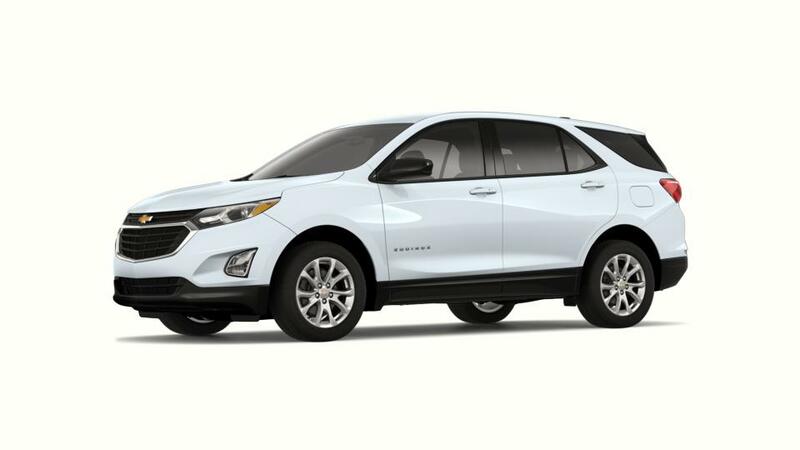 Why is the Chevy Equinox such a widely used SUV in Minocqua? The Chevy Equinox is a compact crossover that is exciting to drive and fuel-efficient. You will save on gas with an estimated 30+ MPG on the open road with the Chevy Equinox's 1.6L Turbo-Diesel engine. It has a range of effective safety features like low-speed automatic forward braking and a rear vision camera to help you prevent collisions. Tech aficionados enjoy the capability to connect up to seven devices to built-in Wi-Fi. You can select from three different engines with up to 252hp so you can get the strength you need. With up to 63.5 cu. ft. of storage and room for up to five passengers, the Chevy Equinox has space for you, your family, and all of your equipment. 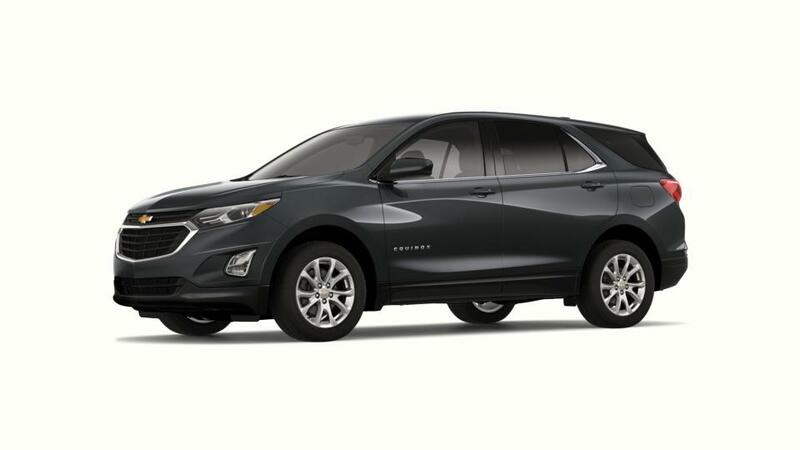 Search our inventory of Chevy Equinox's in Minocqua and decide on the color and options that are perfect for you. Call us at (866) 559-8319 with any questions you could have about taking a test drive.